Globally, terrorism is on the rise. But despite rhetoric from Central Asian leaders, who often list security as a primary concern, the region is generally unscathed by terrorism. In 2014, according to the latest Global Terrorism Index (GTI) compiled by the Institute for Economics and Peace, deaths from terrorism rose 80 percent in 2014. Two groups — Boko Haram and ISIS — were responsible for 51 percent of the 32,658 people killed in terrorism-related incidents in 2014. Five countries — Afghanistan, Iraq, Nigeria, Pakistan, and Syria — accounted for 78 percent of terrorism-related deaths in 2014, the majority in just three — Iraq, Syria, and Nigeria. The GTI is based on data from the University of Maryland’s Global Terrorism Database, an open-source catalog of terrorism-related incidents around the world. The database attempts to systematically code data on both domestic and international incidents — including date, location, weapons used, and nature of the target, the number of casualties, and when possible the identify of the perpetrators or those who have claimed the attack. The listing of incidents in Central Asia is dramatically short. This is for two reasons: because there aren’t many incidents in the first place, and because the region is difficult to report on. News reports are few and light on details. The few examples of 2014 listings for Central Asia demonstrate not a grand conspiracy or invasion, but random violence. On September 30, 2014 a bomb was discovered and defused in Balykchy town near Issyk Kul in Kyrgyzstan. The unsuccessful bombing was not claimed by or linked to any group. Another incident in Kyrgyzstan in 2014 involved an explosive device planted on the car of a kickboxer, Ruslan Abasov, who was killed by the blast. In Tajikistan in May 2014, three people attacked the headquarters of the State Committee for National Security in Khorog. The attacked included grenades, kalashnikovs, and a Makarov pistol — but was not claimed or attributed to any group. One incident actually attributed (though denied) was a border incident in Turkmenistan in February 2014. Using data from the Global Terrorism Database, the GTI ranks 162 countries based on four indicators weighted over five years. Total number of fatalities is given the greatest weight. The index uses a composite score — from 0 to 10, with 10 being the most impacted by terrorism — to then rank the countries included. In the 2015 index, Kyrgyzstan ranks the highest, at 83, followed by Tajikistan (84), and Kazakhstan (86). All three fall into a band of about 34 countries which experience the “lowest impact of terrorism,” all having scores under 2 and over 0.1. Uzbekistan and Turkmenistan both are ranked at 124, with scores of 0. The research finds that 92 percent of all terrorist attacks over the past 25 years occurred in countries where state sponsored political violence was widespread, while 88 percent of attacks occurred in countries that were involved in violent conflicts. 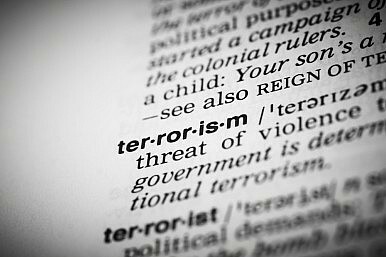 The link between these two factors and terrorism is so strong that less than 0.6 per cent of all terrorist attacks have occurred in countries without any ongoing conflict and any form of political terror. This is significant to Central Asia where state sponsored political violence — including political imprisonment and other rights abuses — are often cited by regional analysts as potential feeders of future violence. As the idiom goes, correlation is not causation, but it would be difficult to deny the logical linkage between state sponsored political violence and the conditions which drive people to terrorism. Violence begets violence. Trick Question: How do you research extremism without looking like someone researching extremism?